This scenario should be familiar: Your MacBook charger snaps, breaks, frays or just stops working. Apple wants $109 for a replacement, but you found a knockoff charger online for a lot less. What do you do? We've all been in this situation, and it's tempting to go with the cheaper alternative. There are plenty of times when this advice makes sense - when you're buying HDMI cables, for example. However, a closer look at the tech inside these MacBook chargers suggests it might be worth it to pay the Apple Tax if you need a replacement. 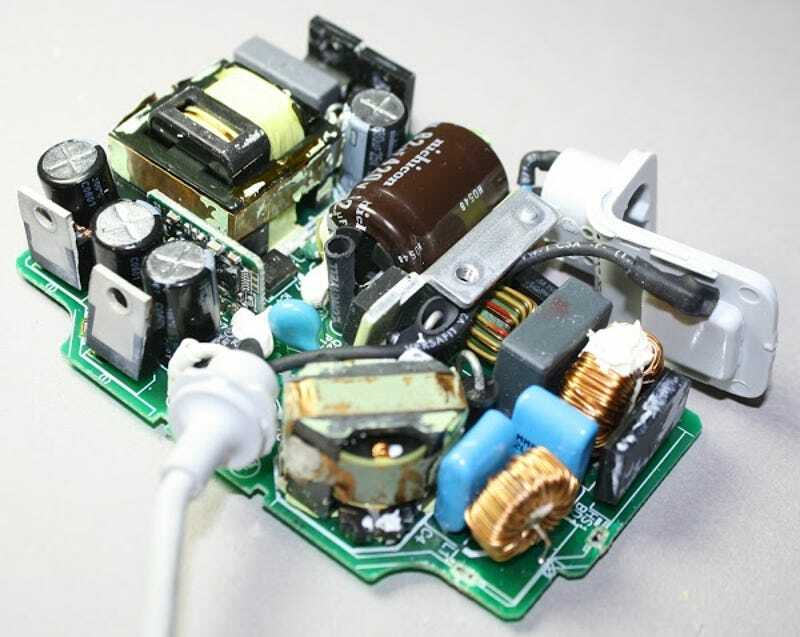 A few years back, Google software engineer and general tech enthusiast Ken Shirriff opened up his MacBook charger to compare it with a knockoff, and the difference between the two is pretty astounding. Visually, it's clear that Apple packs a ton of technology into its chargers, while the cheaper version features a bunch of empty space. More importantly, Apple also puts a big focus on safety, while the knockoff cuts corners that could put you at risk of an electric shock - or worse. Apple’s charger (left) and the knockoff (right). A quick tour of the official MacBook charger reveals triple-insulated wires, grounding and magnetic fields to safely transmit power. 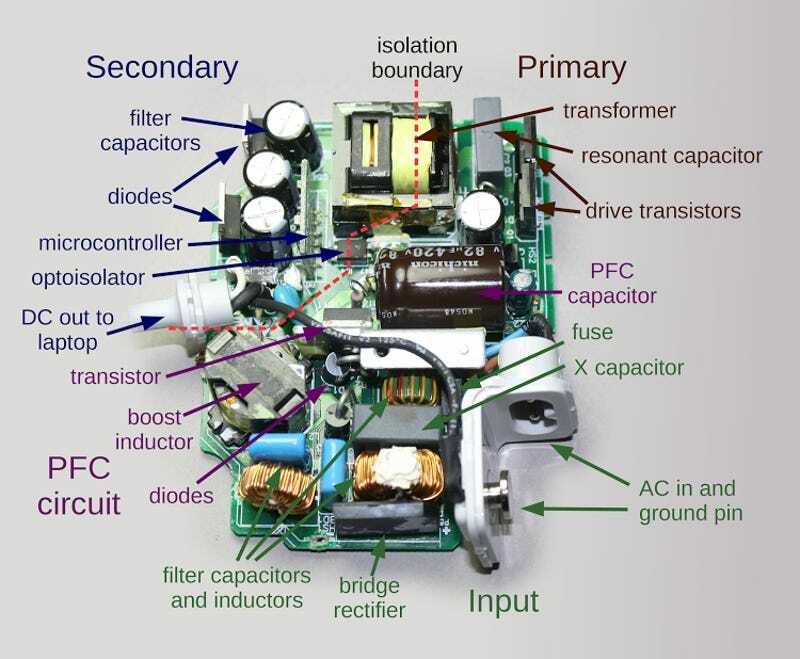 There's a small processor inside that regulates power, automatically shutting off the charger if the wattage gets too high. Apple's charger also knows to shut off as soon as it disconnects from your laptop to reduce the risk of sparking. 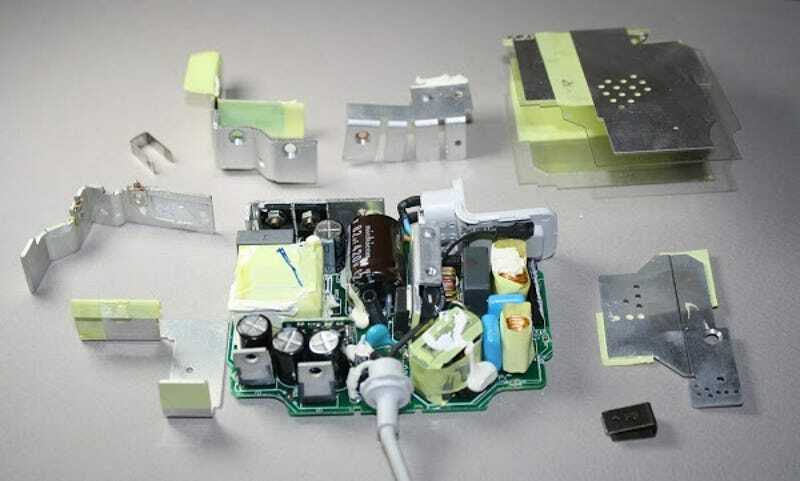 By comparison, the cheaper knockoff skips the filtering, ground connection, and the more complex circuitry used by Apple to regulate the power flowing into your laptop. The third-party charger isn't totally unsafe (it includes insulating tape and a few other precautions), but according to Shirriff, it could still give you a nasty shock. Apple's chargers aren't perfect. The cables tend to fray and they're definitely overpriced (even with all that extra tech inside), but this is one purchase that you might not want to cheap out on - if you do, caveat emptor. Apple chargers and cables are rubbish. I'm sorry, they may have the tech. but they are still rubbish. They fray like hell. Why on earth can't they make a cable that lasts as long as the device? A Coles USB - Lightning cable can outlast an Apple one several times over. The Mac chargers, for starter are not designed right. They are heavy and protrude wy too much from the wall socket and way too often I find it hanging out. Probably doesn't happen as much with the chunkier UK plugs, but Australian plugs are girlie plugs. Again, their cables fray too often so why bother? I bought a third party one which wasn't the cheapest ebay i could find and both the MacBook and the cable are doing just fine. Reading reviews of these chargers on apples very own website it seems even apple customers dont like them. 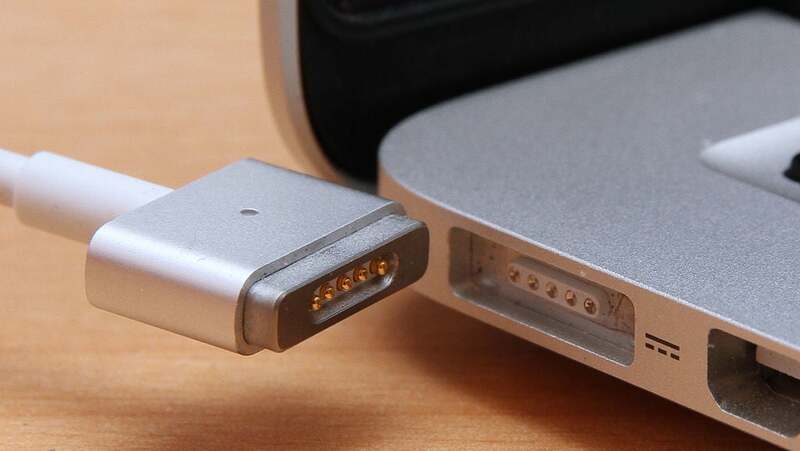 It boggles my mind why apple refuses to allow even reputable companies known for making apple accessories, Access to be able to make 3rd party magsafe chargers. Its quite clear they just want people to buy it from them so they can charge exorbitant prices for them. Not that apple is the only company that does this of course.